Summit between Donald Trump & Kim Jong-un to take place tomorrow. 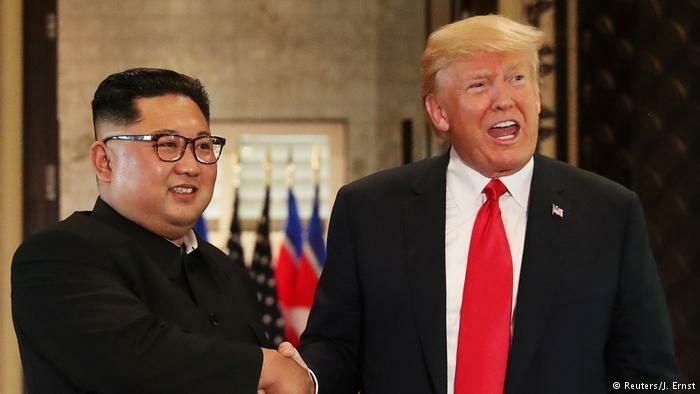 Second high profile summit between US President Donald Trump and North Korean leader Kim Jong-un will take place in the Vietnamese capital Hanoi tomorrow. During their two days of talks, the two leaders are expected to have several rounds of discussions in multiple settings, including a one-on-one, aimed at normalising ties and complete denuclearisation of the Korean peninsula. They are also likely to review the progress made after their first historic summit in Singapore last summer. US President Donald Trump before his departure for Vietnam said he is looking forward to a highly productive second summit with North Korean leader. Meanwhile, North Korean leader Kim Jong Un's train arrived in Vietnam today. The olive green train pulled into Vietnam's Dong Dang station after a marathon 4,000 kilometre, two and a half day journey across China from Pyongyang. Kim is expected to drive to the Vietnamese capital where he will have a state visit.